Dear Bestie, Can We Too Please Dance On *Lamberghini* At My Sangeet?! Would you agree if we say that the sangeet is the most fun part of any Indian wedding? We bet you will. With all the naach, gaana, and a decent dose of booze, everybody seems to be in full swag on the dance floor. We came across this cute video of TV actor Kashmira Irani and singer Jankee Parekh (wife of Ishqbaaj actor Nakul Mehta) dancing on the Punjabi number Lamberghini and we couldn't help but swoon. 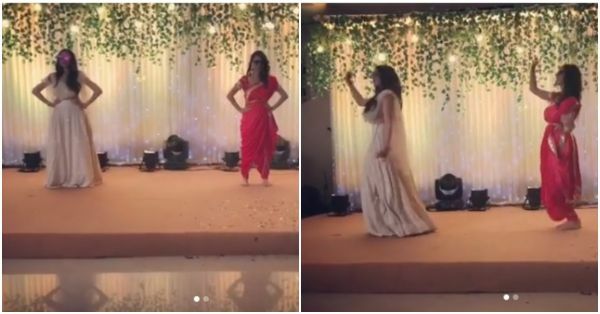 The duo set the stage on fire at a sangeet ceremony and shared the video on Instagram. Check it out!